Argh mateys!! 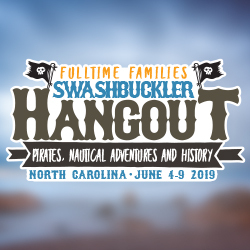 Fulltime Families is setting sail to Newport, NC for the 2019 Swashbuckler Hangout. Get ready to enjoy the week with friends at Goose Creek RV & Camping resort. The schedule includes a variety of swashbuckling fun as we learn about the history of pirates in the local area. Activities include campfires, potlucks, pirate themed parties, beach days and much more! This Hangout is limited to the first 15 registered families, so don’t delay. Goose Creek RV & Camping resort is perfectly suited for a gathering of Fulltime Families. We have reserved a group of back in, full hook up sites with basic cable at this family friendly park. Other park amenities include swimming pool with water slide, playground, volleyball court and basketball court. 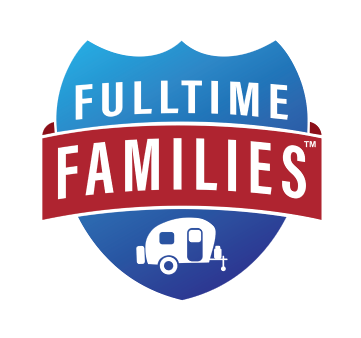 Hangouts are great for your first event at Fulltime Families. The schedules at these smaller events are less busy than rally schedules, meaning there is more down time for hanging out and a smaller number of families make it less overwhelming. Members Only! If your not a member yet, click here to join now. Step 1: Sign Up for the Hangout. Add the Hangout to your shopping cart and check out. You will then be taken to the Paypal check out screen, please pay via paypal to secure your spot for the rally. Once this step is complete you will enter your rally information. To reserve a site, call directly to Goose Creek Campground. The rate is $29.00 per night. The number is 252-393-2628. 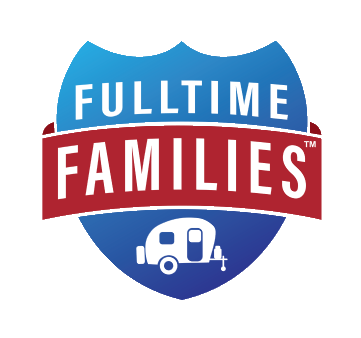 Tell them that you are with Fulltime Families/ Savage event. The whole amount needs to be paid up-front. Once you Register, feel free to join the Facebook Group for the 2019 Swashbuckler Hangout. Cancel before April 6, 2019 for a full refund of rally fees with $10 cancellation fee. Cancel between April 7, 2019 – May 5, 2019 for a 50% refund. Cancellations after May 6, 2019 will not be refunded.